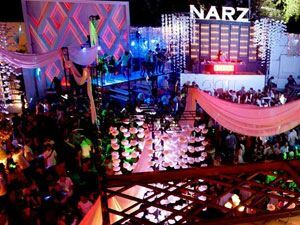 Those that joined us last Songkran will still remember the fun-packed 3 days at NARZ Club! This year we will do it again with the International Songkran Party in Bangkok concept! It will be bigger and even better with an international DJs, international models and many more! Get ready and be sure not to miss one of the most exciting Songkran parties in Bangkok!! DJ Lineup:Tall Sasha, talian Kidz, Sunzone, Daisy Gift, Petezeus, Tong Apollo, New Kidz, Breeze, Kakashi, SuperChoke, Pan (Narz resident), Tann (Narz resident), Ole (Narz resident) and Wrapkidz. Included 2 drinks & 1 MaDonald's burger.